Begin your day in the misty mountains by visiting the Parish of the Immaculate Heart of Mary to say a prayer and light a candle. Aside from the early morning masses celebrated daily (7am, Mondays-Saturdays | 9am, Sundays), you can relish nature's sights and sounds. Trees serve as a breathtaking backdrop for the altar, and the chirping of birds are offered like songs of prayer. The chapel’s open air structure allows the gentle breeze and daylight to permeate the interior, making it a favorite wedding venue of couples from all over Metro Manila. Does it look familiar? You may have seen it in the hit movie Second Chance starring John Lloyd Cruz and Bea Alonzo. The Eco-Adventure outdoor resort boasts of a huge farm property with different areas for team-building activities such as fishing, zip-line, camping, swimming, bike trail, obstacle courses, and kayaking/rafting. You can enjoy breakfast at The Breakfast Club or have a picnic-style lunch in one of the group tables and function areas. The place also has a butterfly garden, and rooms for those who want a comfortable place to stay in. After enjoying Phillip's Sanctuary's amenities, it’s time to unwind and pamper yourself at Luljetta’s Hanging Gardens and Spa. The crafted mountainside pools and unique views overlooking Metro Manila and Laguna de Bay are just some of the things that make this secret spa a must-visit. Enjoy and take your sweet time at their Buddha Lounge, outdoor massage areas, and their fish spa zen ponds. 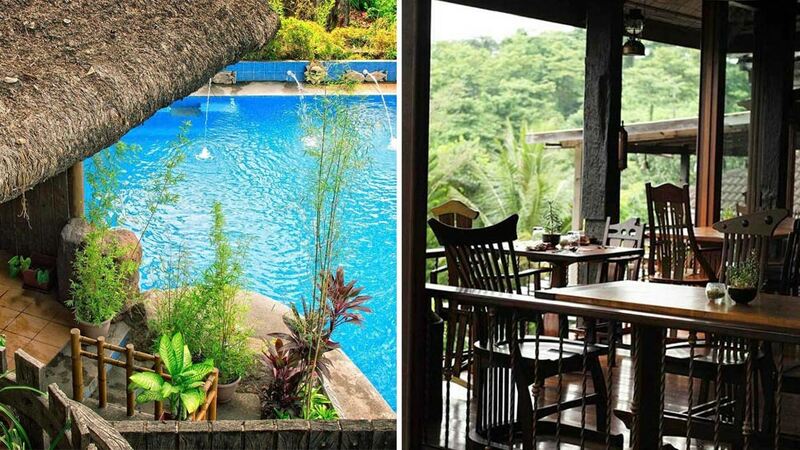 With its soothing ambience and exclusive couple massage services, it’s considered one of the most romantic places in Antipolo. Tahanan Bistro opened to the public only last year but it has gained a following. Located at the upper floor of renowned artist Benji Reyes's home, it's open three days a week and you need to make a reservation. The experience is worth it as the restaurant does not fall short of extraordinary. Run by Reyes's daughter Keesha, and her partner Chef Kevin Tuason, Tahanan serves special 5-course meals that feature traditional produce and meat such as baboy damo, kalabasa, and fruits like mansanas and saba, but prepared and served in a refreshing way. Fun fact: Benji Reyes designed and built all the furniture in this 32-seater bistro. The food park craze has reached the highlands of Antipolo, and with at least three small but comprehensive food parks just along its main roads, it sure seems like the trend’s not slowing down soon. Grab a few drinks or enjoy dessert after dinner at Backyard Eats along M.L Quezon. Aside from the variety of food and drink stalls and the charming atmosphere, you may be able to catch some live music by local acts, as well as some invited ones. It’s a look at the lively side of Antipolo we don’t usually see.